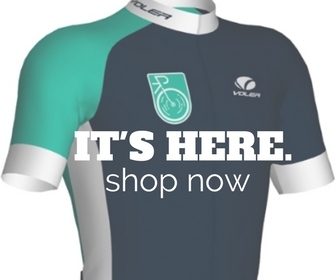 We’re in full flight mode at Interbike these days with a full complement of awesome gear that’s hitting the market. Last year, we caught up with the folks at ROTOR as Captain America (aka Zabriskie) just happened to be loitering around their booth. We might have done the awkward stare while he did an impromptu demo of Rotor’s pedal stroke analysis software and power meter. This year they’ve got a few new announcements with new aero offerings of their 2INPower, direct mount rings, and Oval Qarbon (clever) Chainrings. And if you’re missing the whole Dave Zabriskie angle, just remember that we brought our scale with us to Interbike. Two words: Insta gram. Today ROTOR Bike Components advanced its oval chainring offerings by introducing Direct Mount rings for SRAM and Race Face cranks, plus adjustable Direct Mount rings for ROTOR’s new Hawk and Raptor modular all-mountain/enduro cranks. In addition to biomechanical performance, there was one more important factor when designing Direct Mount oval chainrings: compatibility. The new Q-Rings offer an upgrade to oval for SRAM GXP®, SRAM BB30, and Race Face Cinch cranksets. Direct Mount QX rings can be dialed in to take advantage of the most-powerful part of your pedal stroke to give you faster acceleration and better traction when you need it most. In the war against wind resistance, cyclists need every available ally. 2INpower Aero provides the same features as 2INpower but with a closed aero spider to shrug off bullying wind. In addition to both ANT+™ and Bluetooth® Smart compatibility, and a rechargeable Li-ion battery, the aero spider also brings MAS (Micros Adjust Spider) technology to help you micro adjust the orientation of your oval Q-Rings by approximately 2.5 degrees to fine-tune your pedal performance. Rings, ROTOR has crafted Q-Rings Qarbon Shimano 110×4 just for you. A 3K woven, high-modulus carbon sheet is bonded to the outside of a Q-Ring to reinforce the Q-Ring´s structure. According the ROTOR, the carbon fiber´s structural properties allow for a more aggressively-machined aluminum section, which yields a chainring that’s 8% lighter with 20% increased stiffness. Choose from 3 Optimum Chainring Positions (OCP) to fine-tune your improved riding experience and go farther and faster with less fatigue. 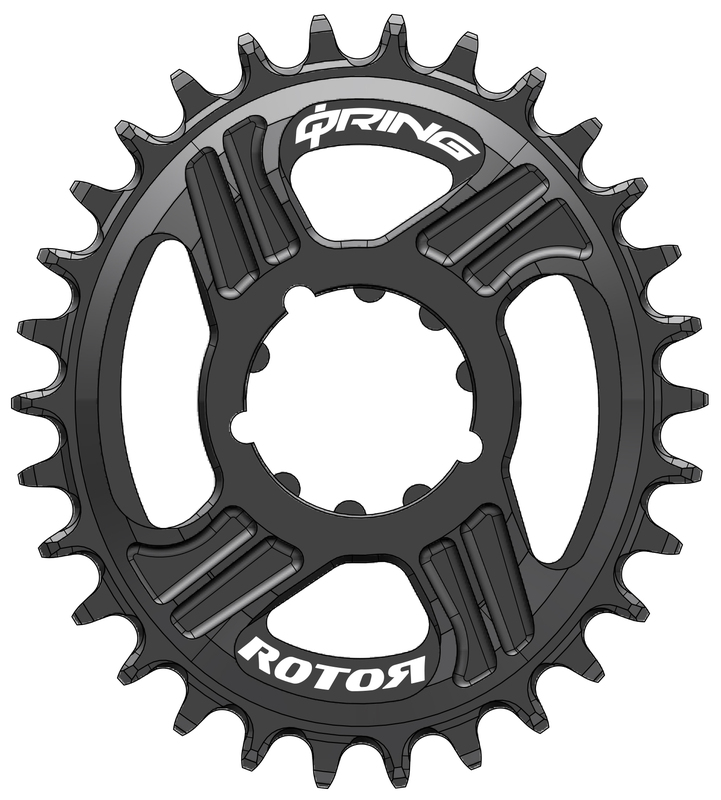 To complement its Qarbon range, ROTOR has crafted round Qarbon noQ rings for your compact cranks. Qarbon noQ offer the same performance benefits inherent in traditional round rings, yet lighter and stiffer thanks to high-modulus carbon fiber. All Qarbon chainrings are available in 50, 52, and 53t in BCD110. Although we know the endure and mountain categories are a little beyond our scope, we still thought these were cool enough the toss your way.Earlier this week ROTOR Bike Components launched its new all-mountain/enduro cranks from its Madrid headquarters to arrive at Interbike. Both the Hawk and Raptor check all the standard boxes for an all-mountain/enduro crank. 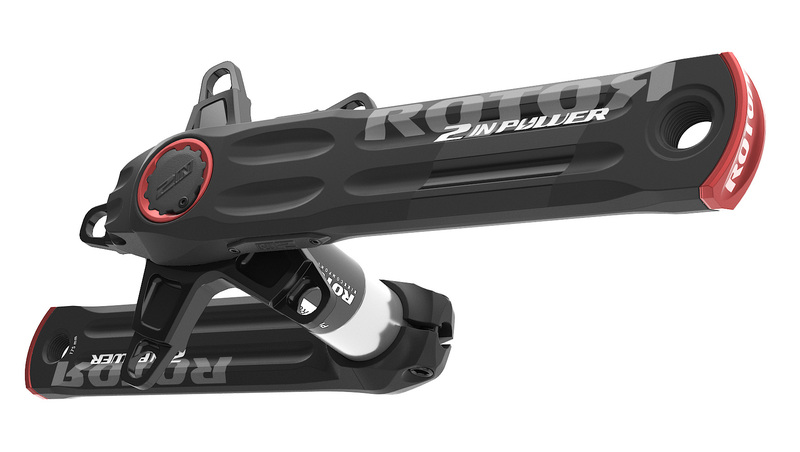 Like ROTOR’s REX cranks, both models are a work of engineering built on the principles of lightweight and rigid, but a modular concept offers compatibility that meets – and even exceeds – current trends in mountain bike technology. 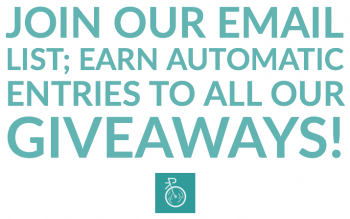 Crank arms will be available independent of an axle and chainrings; there’s no longer a factory-assembled arm+axle, both crank arms can be removed from the axle. This way both the Hawk and Raptor can be mounted to standard, boost, and downhill axles. Rubber bumpers protect crank arms against wear, and can be customized with a choice of seven colors: black, blue, green, yellow, red, pink, or orange. The new Direct Mount chainrings for both Hawk and Raptor feature ROTOR’s patented Optimum Chainring Position (OCP) system to optimize your pedal stroke. Swapping out chainrings on the fly becomes incredibly easy with just an 8mm allen key. l properties allow for a more aggressively-machined aluminum section to yield a chainring that’s 8% lighter with 20% increased stiffness. Choose from 3 Optimum Chainring Positions (OCP) to fine-tune your improved riding experience and go farther and faster with less fatigue.